AUD/USD has completely erased yesterday's gain in a 50-pip fall to 0.7124 today. It's a disheartening turn after the pair hit the highest since February 26 a day ago. The failure to hold and close above 0.7168 underscores resistance there but on the downside there is uptrend support at 0.7075 and the April low of 0.7053. 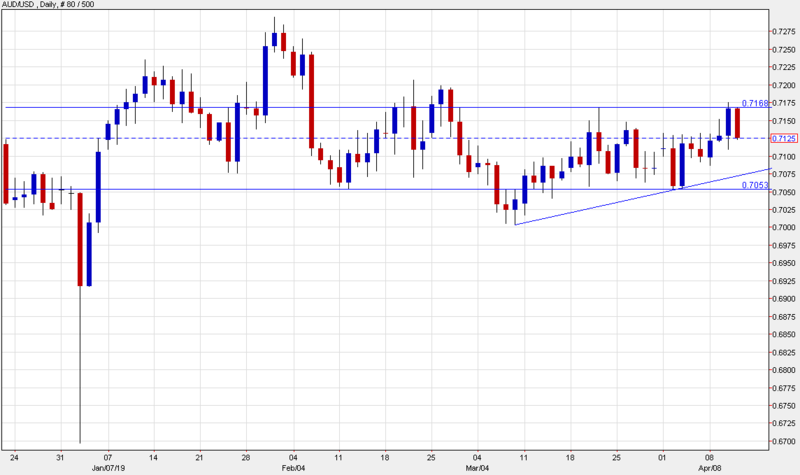 Like so many trades in FX right, the range is dominating and we sit and wait for a break.